Sidings are at least (and arguably even more) important than the roof for the initial impression someone has of your home. When you first approach any building, the sidings and exterior finishing jump out at you immediately. But it’s not enough for the siding to look good; the siding also has to function well, keeping the home safe from the elements. 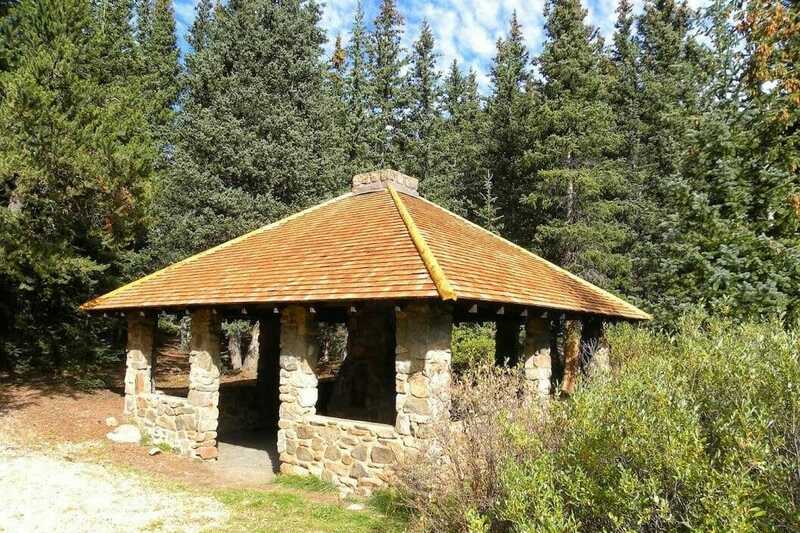 As you may know, cedar shingles are great for your roof, but what about the rest of your home’s walls? The good news is that cedar shingles are also fantastic for use as sidings! What’s the point of paying for something to look good, if you have to pay over and over again to keep it looking that way? Whether you want a continuous look with your cedar roof, or if you just want to see your home coloured with warm, gorgeous cedar, cedar shingle sidings have the advantages of being both beautiful and durable. 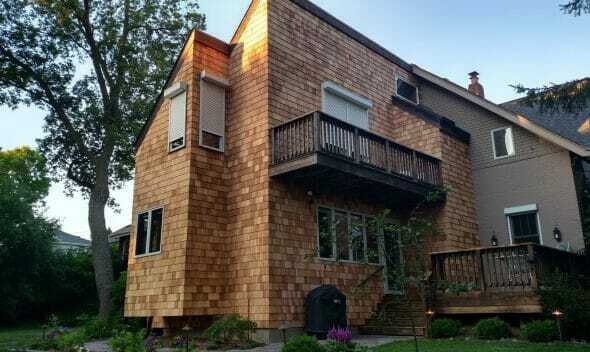 Cedar shingle sidings require minimal maintenance, and look great for years. It’s an authentic, natural beauty that combines function and aesthetics. Whether you choose to have cedar shingle sidings that are staggered or aligned in a straight-edged fashion, shingle sidings are doubled or tripled at the foundation lines; we can also do a double course throughout, keeping it extra strong. 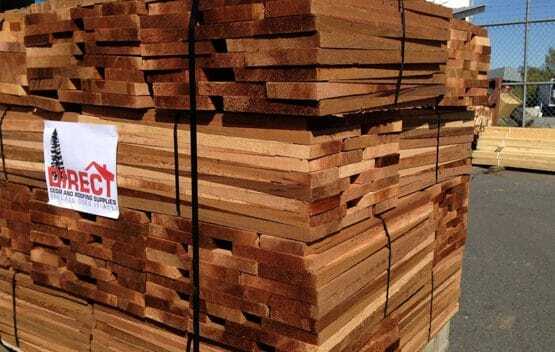 One of cedar’s many advantages is that it helps with temperature regulation; that is, it keeps your home warm in the winter and cool in the summer. With the help of the natural air pockets trapped inside the cedar’s inner structure, the room temperature inside your home has a more difficult time escaping and transferring into the outside world. Cedar’s ability to insulate is a great bonus for if you want to stay comfortable but save on the costs of heating and cooling your home. Using cedar shingle sidings for the exterior of your home is one way of enjoying cedar’s natural charm and practical benefits, but many people don’t think about using it on the walls inside of your home as well. In addition to making a remarkable aesthetic statement by adding warmth and nature into your home, you get all of the practical benefits as well: durability against the nicks and bumps of everyday life, and additional insulation that keeps you even more comfortable. You can choose to cover just one statement wall, or you can do all of the interior. We take care to accommodate windows, electric plugs, and anything else that comes with interior walls. The beauty and advantages of shingle sidings are now easier than ever to install, thanks to our panel option. These come in groups of shingles already lined up and attached to panels that line up beautifully, keeping the corners neat and the final product flawless. Don’t worry about the quality compared to conventional shingle siding: each shingle is at least ½” thick, which is our panels’ quality standard. 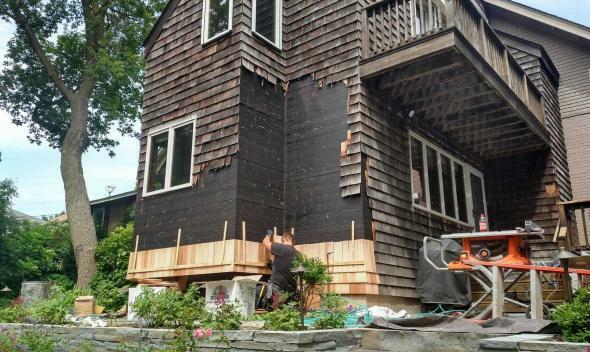 A three-point contact on every panel ensures that they stay connected and create a single structure without the work of conventional shingle siding. Whether it’s Western Red Cedar, or Alaskan Yellow Cedar, you can achieve the look and feel you want with the convenience of shingle siding panels. 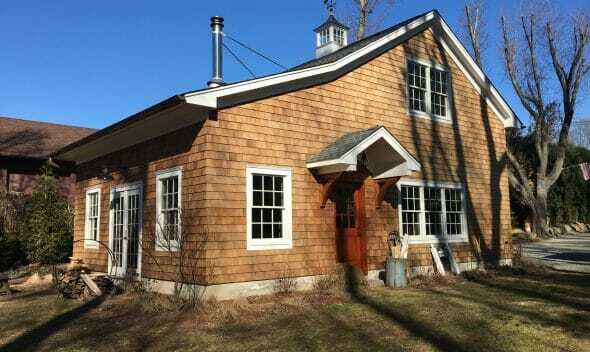 The advantages of cedar are fully captured by its use in shingle sidings. If you’d like to learn more, or to see how we can make it work best for you, contact the cedar experts at Direct Cedar and Roofing Supplies by email at sales@directcedarsupplies.com. You can also call us locally at 604-850-1767, or toll-free at 1-877-850-1767.